” Investigators released video Wednesday of one Walmart shopper tackling another after he saw the man carrying a gun. But it turned out the man who was tackled had a concealed-weapons permit. 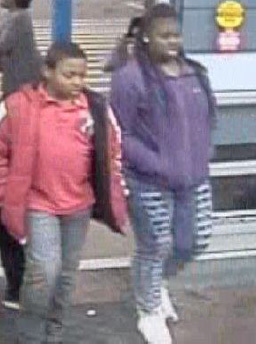 Video released by the sheriff’s office shows Clarence Daniels walking into the entryway, with other shoppers and small children nearby. Then you see Michael Foster come up behind him, grab his neck and take him to the ground. As the two fall, there are three small children right around them, and they fall into one of them. Investigators believe it all started when Foster said he saw Daniels in the parking lot, holstering his gun. He followed Daniels in and tackled him — without calling 911 or alerting store security, the Hillsborough Sheriff’s Office said. Store security eventually showed up and detained both men until law enforcement arrived. When deputies confirmed that Daniels had a permit for the gun, they arrested Foster. ” On Friday, a group claiming affiliation with the loose hacker collective Anonymous released a document containing approximately 13,000 username-and-password combinations along with credit card numbers and expiration dates. Some Anonymous members have pushed back on the assertion that this leak had anything to do with the hacktivist group. Anonymous has no official leadership or centralized organizational structure; instead, it functions as a loose affiliation of computer hackers that join together in support of various causes, ranging from battles with the Church of Scientology to doxing members of the KKK. If hackers branding themselves as Anonymous carry out a particular action, it doesn’t necessarily mean it’s any of the same people who have carried out any other Anonymous-branded action. Judging from the document, the following sites were compromised or, at the very least, had some of their user data stolen—possibly through malware installed onto users’ personal devices or other nefarious methods. ” Get your shopping list in order–the Black Friday deals are popping up already. We’ve scoured them for the most interesting bargains, and we’ll be updating more great deals as we see them. ” A Wal-Mart spokesman attacked New York Times columnist Timothy Egan in a disparaging and sarcasm-laced blog post last week for what he calls “wildly inaccurate” reporting. ” A man and a woman ambushed two police officers eating lunch at a Las Vegas restaurant, fatally shooting them at point-blank range before fleeing to a nearby Wal-Mart where they killed a third person and then themselves in an apparent suicide pact, authorities said Sunday. After shooting the officers, the suspects fled to the Wal-Mart across the street, where they killed a person inside the front door and exchanged gunfire with police before killing themselves, police said. ” Tampa Police say a family of four was hospitalized Monday night after eating meat contaminated with the drug LSD. Ronnie Morales started feeling sick after dinner on Monday, and the family called 911. Upon arriving at the hospital, his 9-month pregnant girlfriend Jessica Rosado also started feeling sick. Doctors induced labor, and she gave birth to a healthy baby boy. At the hospital, two children, Elyana Serrano and Rayna Serrano, also started experiencing hallucinations and felt sick. The children, along with Ronnie Morales, received tracheal intubation, and were hospitalized. Tampa Police Chief Jane Castor says the victims had multiple symptoms. “Like everyone else in the community, we are deeply disturbed about this situation and are taking it very seriously. We want answers and we’re committed to working with officials to get to the bottom of this. ” It’s unclear where and how the food was tampered with or if the tampering occurred after purchase. However, out of an abundance of caution, we have pulled the remaining product from the store. We have been in touch with our supplier and they tell us they have no reports of similar incidents. This is on the heels of a massive recall just yesterday of tons of contaminated meat from California beef supplier Rancho Feeding Corp. that started back in January and continues to spread to as many as thirty five states . ” An angry mother and father in a suburb of Sacramento are suing the Natomas Unified School District after their emotionally distraught seven-year-old daughter was left completely unattended and went wandering around town all by herself in the middle of a Wednesday school day. Jason Dillard said that his second-grade daughter, Samaya, had spilled some water in class. The teacher, Lupe Rodriguez, was frustrated about it. In response, Dillard said, Rodriguez dragged the seven-year-old girl out of class as she was sitting in her chair. Rodriguez allegedly left the girl outside the class for quite awhile until she eventually wandered down the hall, out the door and off school grounds. Meanwhile, Samaya had quite an adventure. She moseyed down a busy road. She traipsed over an interstate over pass at one point, crossing freeway entrance and exit ramps. She then kept walking, for about two miles altogether. She stopped into a Walmart. She eventually ambled into an On the Border fast-casual restaurant and asked for a cup of water. Employees at On the Border contacted police and asked for an officer to come to the restaurant to make sure the girl was okay. The police refused, apparently believing that a seven-year-old girl walking around with no adult supervision in the middle of a school day is nothing to be alarmed about. As the Daily Mail points out the day was a blustery 46 degrees and the poor girl was dressed in only jeans and a light sweat shirt . ” Feeling abandoned, the little girl wandered off campus, walked down Truxel Road and over the Interstate 5 entrance and exit ramps – all the way to an On The Border restaurant about two miles away where she asked for water. The restaurant manager said he called police who didn’t respond to the welfare check, before Samaya walked off. To top it off , the teacher has been a known problem for some time now but , thanks to the teacher’s union , continues at her job . ” The anxious father pulled his twin daughters out of class, got in his car and drove around the neighborhood searching for his missing daughter. He eventually found her wandering the streets. ” It sounds like a modern-day David versus Goliath story. Residents in Ellisville, Mo., a town of 9,000 people, went up against Wal-Mart, one of the largest corporations in the world. For years, city officials have been planning to lure Wal-Mart to Ellisville, about a half-hour away from St. Louis. 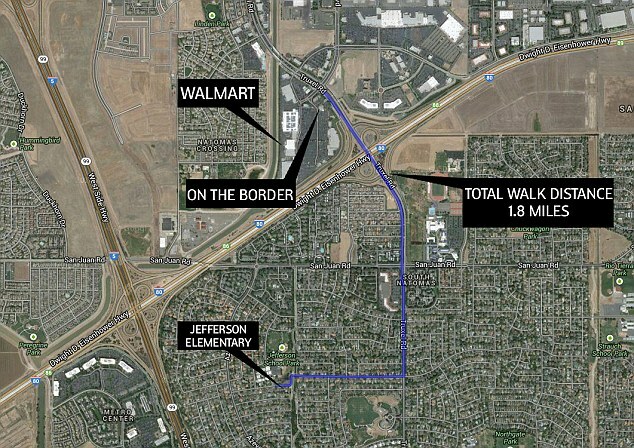 Their most recent plan involved building a 150,000-square-foot Supercenter, which would have cost $50 million. A private developer could have received up to $15 million in tax incentives. Even more outrageously, Ellisville could have also authorized eminent domain to acquire property. To make way for Wal-Mart, an entire apartment complex, Clarkchester Apartments, would have been demolished. That’s 100 homes. If the plan had gone through, 250 residents would have been forced to relocate. But in October, after intense pressure from both grassroots activists and a new mayor, Wal-Mart announced it had “decided not to proceed” with the Ellisville store. LIKE, SUBSCRIBE and SHARE this video! ” Four young ladies went for a quick bite to eat in Marshfield Missouri at a local Walmart. Two of them were open carrying not knowing they would be confronted by a Nazi-styled “show-me-your-papers” local police officer. 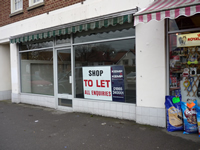 ” An unexpected surge of online orders in the past few weeks appears to have strained the limits of delivery and fulfillment infrastructure at retailers and parcel carriers. While instances of bad weather, Web glitches and late deliveries from manufacturers also played a part, the sheer volume may have been the problem, according to retail analysts. ” Footage has surfaced of a man driving through the front a San Jose Walmart, before jumping out and bludgeoning customers with a blunt instrument. ” Three people have been hurt in a hatchet attack at a Wal-Mart in East Texas and police arrested a transient on assault charges. 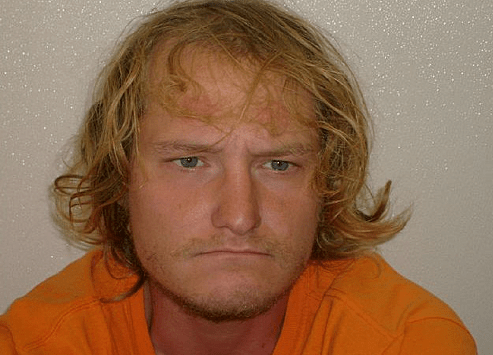 Marshall police Detective Sonya Johnson said Monday that Christopher Hamilton of Crawford, Ark., allegedly had the hatchet with him when entering the store. Two female workers and a male shopper were attacked early Sunday. You can treat yourself to more videos of shameful behavior here if you so desire . Undoubtably there will be more as the day rolls on . By opening their doors on Thanksgiving night the major retailers have just provided more time for the predatory shoppers to clash . It’s an embarrassing day to be an American . We hang our head in shame . ” In the Chicago suburb of Romeoville, a driver believed to be involved in a shoplifting scheme was shot by authorities after dragging a police officer who was trying to stop him in the parking lot of a Kohl’s department store late Thursday, the Chicago Tribune reported. At a Wal-Mart in the Southern California city of Rialto, a police officer was injured while trying to break up a fight after a store manager decided to open the doors early, which police said led to the melee, according to the San Bernardino County Sun. As usual the astroturf party has to bribe their minions to get them to show up . ” The PlayStation 4, aka the PS4, is set to launch on Nov. 15, and Sony is in quite the celebratory mood. In addition to daily PS4, game footage and feature updates, the company has announced a full list of participating midnight launch stores with special events planned for New York City and San Francisco. According to Sony, Best Buy stores across America will participate in PS4 midnight launch events. The electronics retail giant set up a dedicated page for the event. ” On Oct. 12, 2013, the food stamps (Electronic Benefits Transfer or EBT) computer system went down in several states, including Louisiana. What happened was not pretty. The food-stampers went into a buying looting frenzy, stripping the stores’ shelves by the end of the day. Now, Louisiana Governor Bobby Jindal is holding the looters accountable. Finally , someone decides to hold government-sponsored thieves to account for their actions . Way to go Gov Jindal . ” “The last thing I expected was to not have a job,” said Kristopher Oswald, 30, who was fired from Walmart this week after he intervened to help a woman who was apparently being assaulted in the parking lot of the store. What kind of society have we created when those that do the right thing are punished and those that do nothing are rewarded ? ” Sen. Harry Reid (D-NV), Walmart, Amazon, and some Republicans are fighting to ram through an Internet sales tax bill to raise revenues and crush smaller e-commerce competitors. The “Marketplace Fairness Act” (S. 743), a retread of a bill introduced in February by Rep. Mike Enzi (R-WY), was introduced last Tuesday and may be rushed to a vote as early as April 22nd using a Senate rule that side-steps committee debate and goes straight to a vote. 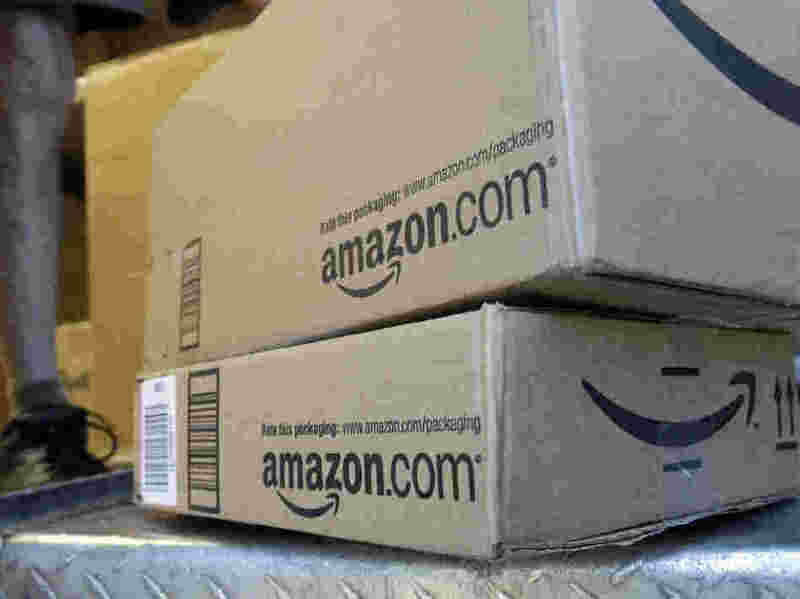 If passed, the law would require online merchants with over $1 million in annual sales to collect sales taxes for 9,600 state and local taxing authorities, a move that could dramatically increase overhead costs for smaller e-commerce sellers. More sneaky , rush rush legislative efforts from our dirt-bag representatives in DC , in collusion with big business . Walmart and Amazon , two of the largest on-line retailers supported this bill, so keep that in mind as the smaller mom & pop type on-line vendors either close up shop or move their operations overseas to escape the required tax collection on behalf of our thieving government. Note all the alleged ” freedom loving republicans ” highlighted in red that voted for this massive tax increase . Vote accordingly . Oh , if you are thinking that this is a bill that will ” level the playing field ” for small business , think again . As with all things government , the laws of unintended consequences rules and this bill as with all others is sure to drive customers merchants overseas and not to Main Street . Measure Title: A bill to restore States’ sovereign rights to enforce State and local sales and use tax laws, and for other purposes. 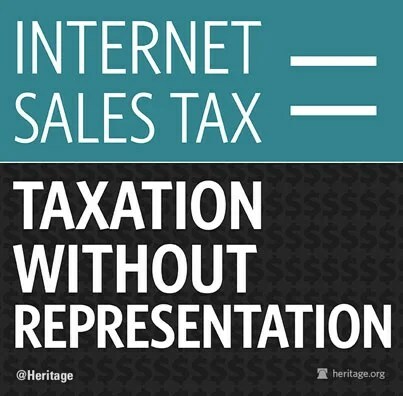 ” Every time Congress has taken a serious look at proposals to boost Internet sales taxes, it has rejected them. That’s probably why pro-tax Senators are trying to rush through an online tax hike with as little consideration as possible.